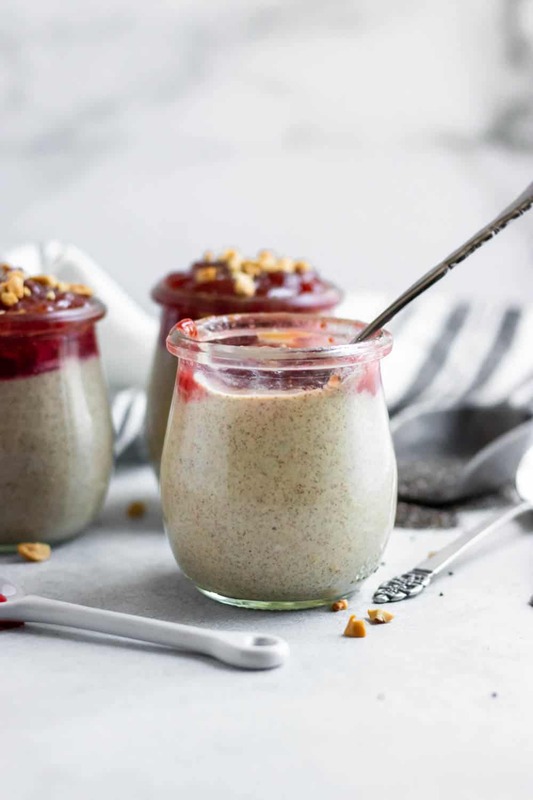 Say good morning with this simple recipe for Creamy Peanut Butter and Jelly Chia Breakfast Pudding and start the day off right! Smooth and creamy, and will help fuel you up for whatever the day brings! 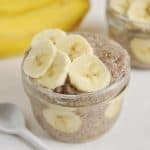 Chia pudding can be very hard for people who have a thing about texture. I imagine those who don’t like the little seeds in their pudding don’t care much for tapioca, cottage cheese and maybe bubble tea? But there is a solve for that! You can pop the pudding into the blender and it becomes a smooth, rich creamy pudding. I usually prefer it that way but will eat it as is as well. I always have to laugh thinking back to the chia pet days. Who knew these would become the food of the future down the road when we were just sprouting them out of animal shaped pots. But here we are getting ready to have it as a tasty treat! 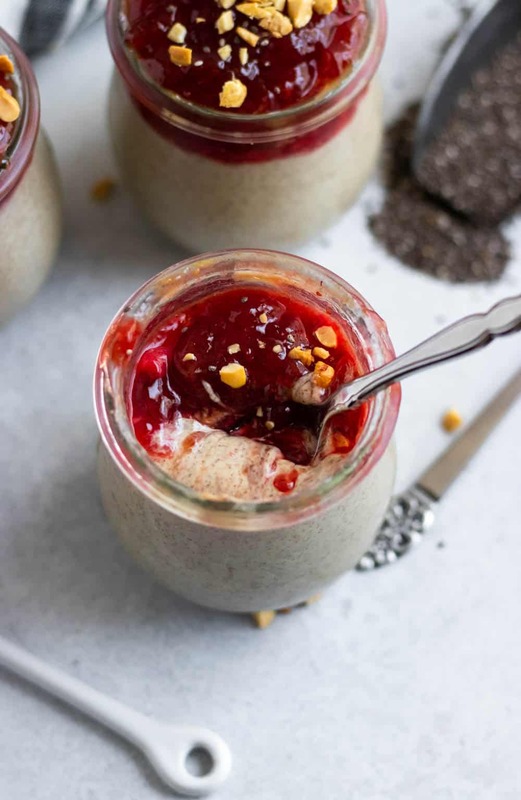 I was whipping up some of my very very favorite PB&J Overnight Oats and it got me thinking about chia pudding. 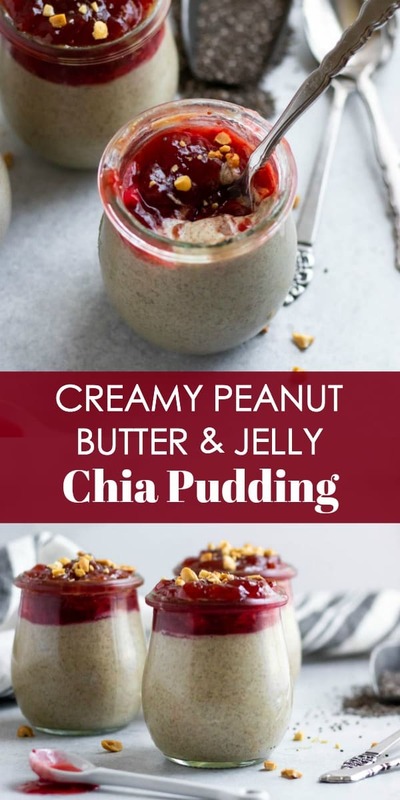 Surely chia pudding would be amazing as a peanut butter and jelly combo as well. Technically there are MANY things that would be amazing as this classic sandwich, I can think of at least ten right now! Chia seeds are little bits of goodness that are so versatile. While they have some great nutritional benefits, it’s really what they can do that is amazing. Run out of eggs? Chia seeds can cover that. 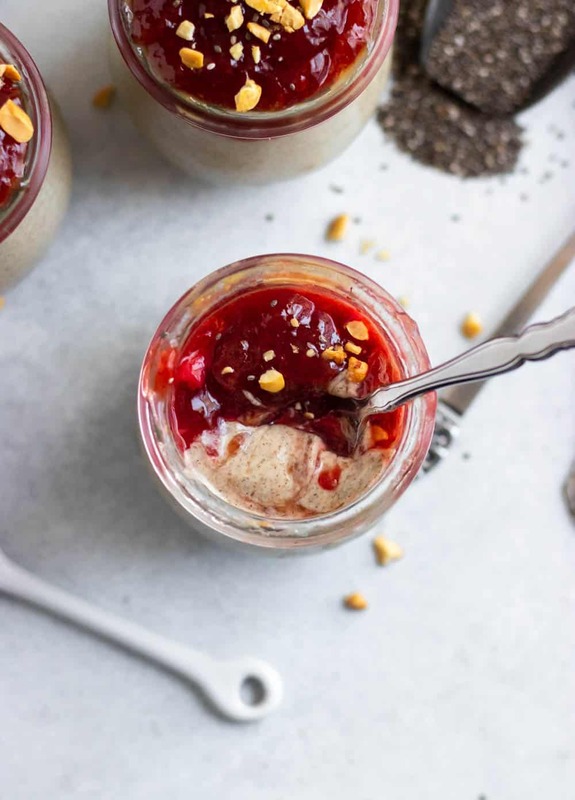 They can help you make some pretty amazing jams like this Simple Strawberry Chia Jam I love. And you thought they were only good for growing into chia pets! And now chia seeds can even become your favorite way to enjoy the classic sandwich of your childhood–and if you are like me, your adulthood as well. 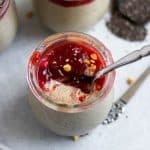 Sure, peanut butter chia pudding is great, but add a fresh layer of strawberry jam and we are TALKING! 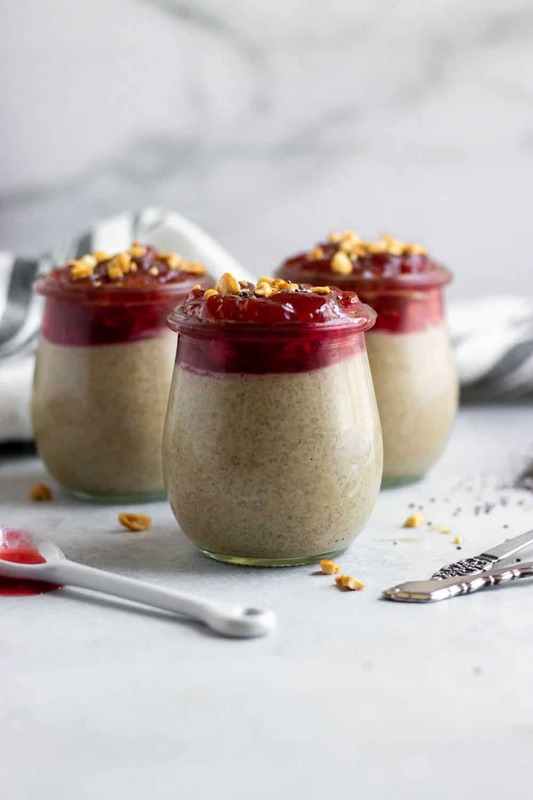 While I call this Peanut Butter + Jelly Chia BREAKFAST Pudding, I promise you there is no rule that says you may only enjoy it for your morning meal. Fear not, friends, this bowl of goodness can be gobbled up any time of day and still be just as delish! 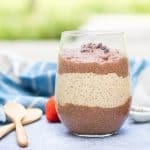 If you love the texture of chia pudding, feel free to skip the blender and just whisk it all together and then allow it to set. That will work as well! Use any jam or even fresh fruit for your topping if desired. 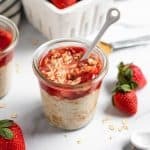 Hope you love this Chia Breakfast Pudding as much as I do! Let me know what flavor jams you added! In a high powered blender add all ingredients except chia seeds and jam. After ingredients are added to blender, add in chia seeds--make sure you do this last and right before blending so no clumping occurs. Blend on high until smooth and creamy. You may have to stop and scrape down the sides a couple times. Pour into small bowls or jars and add two tablespoons of jam on top. Cover and chill for about 2-4 hours to set. This looks so dang good, I’m saving this for later! I might add my protein powder as well! Let me know how you like it with the protein powder, Bekah! Thanks!